So when Olympus Malaysia emailed and invited me to a getaway to Lang Tengah Island, I simply jumped at it. Okay, I actually hesitated a bit because I wasn’t at first sure if I could avail myself during the proposed dates but the moment I knew I could, I didn’t wait to let them know. Now, Lang Tengah Island is located in my home state of Terengganu but (until recently,) I’d never been there due to the reason I mentioned above. So although the name of the island is familiar to me, I really had no idea where it is located on the map until I googled for it. It’s rather embarrassing considering that I was born and bred in Terengganu. But anyway, in case you didn’t know and are wondering too, it’s located between two of the more popular islands of Terengganu – Redang and Perhentian. Considering the location, I did wonder why Lang Tengah is not as well-known as the other two. Could it be because it’s less beautiful? On the appointed day, I joined the Olympus Malaysia group, which arrived by bus from Kuala Lumpur, at the Merang Jetty from where we took a boat to Lang Tengah. It was October and monsoon season was approaching but the sea was not as choppy as I was afraid of. The moment we arrived at the jetty of Summer Bay Resort where we’re staying for 3 days and 2 nights, I couldn’t have been happier seeing the empty white sandy beach. The view from the resort entrance towards the jetty and the sea was just postcard-like. The organiser changed the itinerary and moved snorkelling session to the first afternoon we’re on the island because the weather was good and they didn’t want to take the risk of rain on the second day. So all of us got ready with the life jacket, goggle and Tough TG-5 in hand before hopping on a boat and travelled around the island before anchoring at one corner. I jumped into the sea and instantly went “Phwoar!” – Okay, so that’s a lie, I didn’t say that because I had a snorkel in my mouth. But you get what I mean, right? I’ve snorkelled in various marine parks in Malaysia – Redang, Payar Island, Tioman, and a few more islands in Sabah – but this was my first time trying to use a camera to capture colourful fish and corals whilst snorkelling. After several failed attempts (including at an underwater selfie, heh heh! ), I believe I started to get hold of it. However, the current was quite strong, and as I don’t really know how to swim, I struggled a bit with the camera, trying to juggle with not being swept by the waves further away from the boat. Nevertheless, I did manage to capture a few shots, some of which I’m quite happy with as a beginner and a snorkeler. As this was my first time trying to capture the underwater world whilst snorkelling, I began to understand what Jacky had mentioned earlier on during class – photos taken during a dive are better because they’re taken at level, or face-to-face, angle while photos taken during a snorkelling session tend to look flat as you can only take photos from above. As such, I started to (attempt to) take photos at an angle from above, just so that the photos don’t look too flat. This, however, added the distance between the camera and the subject, and with Tough TG-5 being a compact camera, I could only rely on its digital, and not optical, zoom feature. The results, however, are not that bad, if I may say so myself, haha! I spent the rest of the first day and some part of the second day exploring the island and the beach on my own, playing with the Tough TG-5, mostly trying out the macro and landscape modes. I especially love the camera’s beach/snow mode as, I think, the AWB captures the contrasting colours just nice, keeping everything real, just the way I like it. It rained for the large part of the second day – so I guess the decision to change the itinerary and go snorkelling on our first day was right. We learnt portrait shooting (taught by John Leong) and light painting photography in the afternoon while in the evening, we attempted at nightscape photography and capturing star trails with Robin, using the unique Live Composite mode that is available on Olympus OM-D cameras. Unfortunately, it was a cloudy night and there was also some light pollution coming from a few ships on the sea. It didn’t help either that it started to rain again soon after we arrived at the spot picked for the stargazing activity. All in all, though, I still enjoyed the trip and managed to pick up a few photography tips & tricks from Olympus camera trainers like Jacky, John and my roommate during the trip, Robin. And thanks to Olympus Malaysia for introducing me to Lang Tengah Island – which one marine biologist friend has described as one of the finest for non-divers (while Tenggol Island is a heaven for divers) – and also to their compact but powerful Tough TG-5. Two questions remain, however. Should I try and take up diving next? Should I also get hold of Olympus Tough TG-5? What do you guys think? As mentioned, I was in Lang Tengah Island at the invitation of Olympus Malaysia and we stayed at Summer Bay Resort. The sponsorship, however, has in no way affected my review of the place nor that of Olympus camera products, in particular, the Tough TG-5. For other Instagram travel photo series, click here. Actually Lang Tengah consider very popular during my college time. I went this island with a group of my classmates back in 2007. Wow! That's like 11 years ago. Wow! 11 years ago? Time for a revisit then, perhaps? Hehe! Anyways, I think my perception came about because more friends go to Redang/Perhentian - that could be because those 2 islands are more popular or there are more accommodation choices when compared to Lang Tengah. What I love about Lang Tengah is the fact it's located in between Redang & Perhentian, which means those who go to Lang Tengah, can also opt to go snorkelling (or diving) at Redang one day and Perhentian the next, on top of doing it in Lang Tengah itself. I see. I've been both Redang and Lang Tengah and also went during college life. I think most people prefer to go Redang and Perhentian cause they can party (I don't into this actually) but I was enjoying watching thousand of stars at night. Like you said, Lang Tengah is indeed has less choice in terms of accommodations. Probably that's why most people choose to visit Redang and Perhentian than Lang Tengah. I go for YES (and please count me in too). Exploring/learning underwater photography is in my wish list but always nervous bila diving/dalam air. Grrrrr. On a side note, perhaps by getting that Olympus Tough TG-5 could motivate you to do more diving trips/contents 😋(also YES for that camera). Show me the £££££, Pojie! Hahaha! Eh but I thought you've already got your diving licence with Jas, Fahmi, Neysa, etc.? Perfect timing, I'm just planning a trip to Malaysia for February 2019, and thanks to your beautiful photos, I included Lang Tengah on my itinerary! The beach looks like paradise!! So excited now!! Oh no! I don't think the island is open in February due to the monsoon season in the east coast of Peninsular Malaysia. It's better to double check with the place because normally all the islands on this side of the country is closed from November to February. I'm sure glad I managed to join the trip! Have had the opportunity to try the camera again during another trip since then and I must say that the camera is growing on me! I'd totally recommend it for underwater use. It is so great that you live close to a beach at home. But sometimes it is still nice to see another beach. The view when you arrived at Lang Tengah Island certainly looked like paradise. So great that you got an underwater photography lesson! Great that you then got to try what you learned by going snorkelling. You captured some good images with the camera. As scuba divers, we definitely have to say “take up diving”. Thanks! I still need to think about taking up diving though, lol! Ok sold! I want to go here right now! 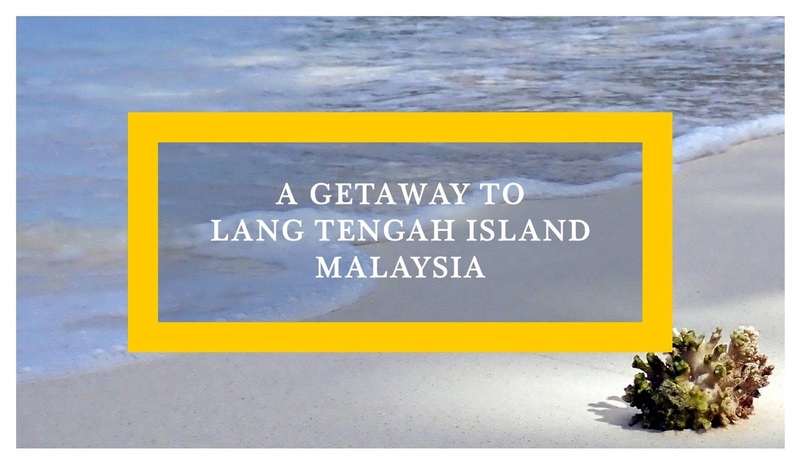 I never heard of Tengah Island but would love to check it out. I have only been to KL in Malaysia and thats just a city to me. Havent done anything outside and would love to check out islands like this with amazing beaches and sea life. You definitely should! 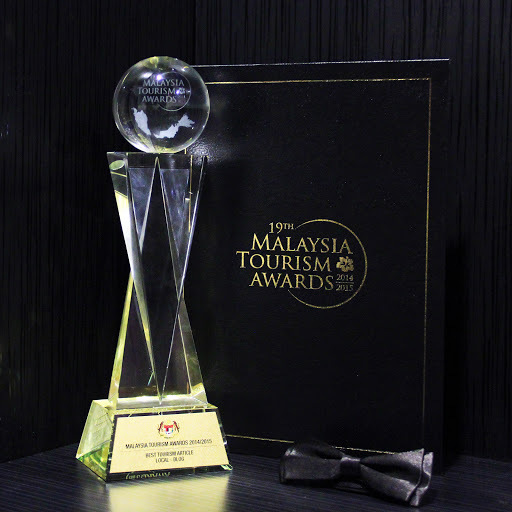 Malaysia has much more to offer than just KL. I would love to turn a 100 shades darker when landing on a beach, instead I turn 100 shades reder. Not a good look! I am an Olympus user and love their cameras, quite envious that you got to play with some new gear and head away with them. Lang Tengah looks gorgeous and I love your underwater shots. For a first timer, you did amazingly well. A natural. Thanks,Sara. I had another chance to use the TG-5 during a recent trip and I'm starting to dig the camera. Thanks! It was my first time taking a photography class so I was excited and clueless too at the same time, lol, but the class sessions & the whole trip was fun! I would say, YES ! Go for it. The water is so blue and the colors have come out well. Recently we were given a mirrorless camera by Olympus for review. And the photos are just awesome. It's very nice of Olympus to invite influencers to try out their cameras. Aah yes! I got to use their OMD EM5 too for about 3 months. The TG5 was just for use during this trip but I've had the chance to use the TG5 again during another trip recently. Both the cameras are growing on me. I'm so envious of the fact that you have your parental home near a beach like this! Such transparent water and glad to get a glimpse of the marine life! Yes, it's one of the reasons why I don't go on a beach/island holiday on my own, lol! Lucky you to have been invited for this .. I too would have jumped. To go. No doubt the dive pics are better but with the water current they are a challenge for you gotta hover and snap it quick. I discovered that recently. BTW... What did you use to remove the underwater blues? I used auto colour correction in Photoshop for the underwater photos. For the beach photos, I didn't do any edit.